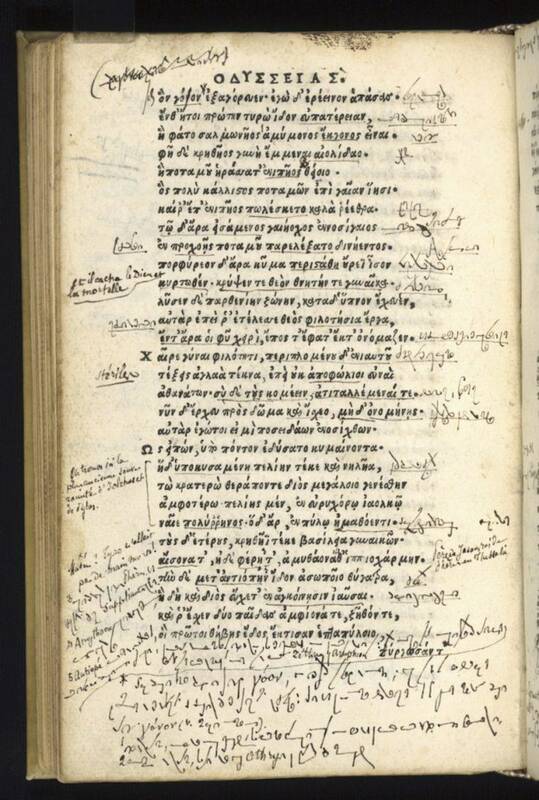 The handwritten notations, a combination of French and a mystery script, appear on about 20 pages throughout Book 11 of a 1504 Venetian edition of “Odyssey” that was donated to the University of Chicago Library in 2007 by collector M.C. Lang. The script was thought to date back to the mid-19th century, but nothing else was known about it. Daniele Metilli, an engineer and software developer who is studying digital humanities at the University of Pisa, has identified the mystery script as a system of shorthand invented by Frenchman Jean Coulon de Thévénot in the late 18th century. Metilli worked with colleague Giula Accetta, who is proficient in contemporary Italian stenography and fluent in French, in solving the script. A legible date of April 25, 1854 and some French words were mixed in with the script, leading them to begin with the assumption that it was a system of French stenography in use in the mid-19th century. The sleuths eliminated several 19th-century French stenographic systems before settling on the shorthand system invented by Thévenot. As for what the annotations say, Metilli and Accetta determined they’re mostly French translations of words and phrases from the Greek text of "Odyssey." For being the first to correctly crack the code and provide translations, Metilli wins a $1,000 prize offered through the University of Chicago Library by Lang. “We spent days and nights trying to solve difficult word puzzles. We read Greek, we wrote French. We rediscovered the beauty of the Odyssey. We approached the contest looking for an adventure, and we got it. It was a wonderful experience and we could not be more happy!” Metilli explained in a report on his website detailing his findings. But in solving one mystery, Metilli, who says he has a “keen interest in languages, shorthands and ciphers,” left the door open to another. “The Odyssey,” about the wanderings of the hero Odysseus after the Trojan War, was composed by Homer in the 8th century B.C. It is a sequel to “The Iliad,” his other famous ancient Greek epic poem.